One of my favorite movies! I have watched it sooo many times. Ringo and John were hilarious! Note by Ahhh Girl 4 June 2014: I merged 4 threads on this topic. The first thread consisted of posts 1-46. The second thread consisted of posts 47-103 and 112-136. The third thread consisted of posts 104-111. The fourth thread consisted of posts 137-139. Oh, the '64 version. Much better than the '92 remake. There was a '92 remake? I didn't know of this. Was it any good? I may be wrong, but I think that was a slightly sarcastic remark. 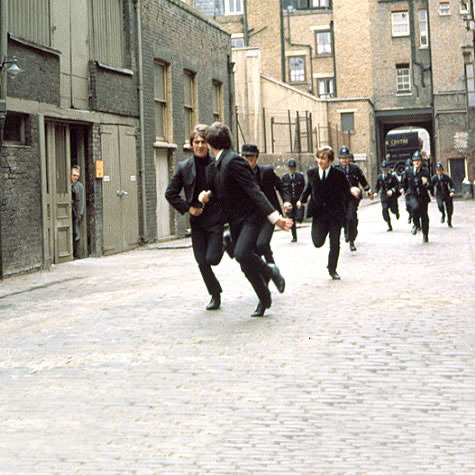 We all know it was called A Hard Day's Night, so why call it A Hard Day's Night 1964? I remember when the BBC showed this at Christmas (aroung 1971). So many people had never seen it before. It was fantastic and I believe it opened up a new wave of interest in the group. Joking! But can't you just picture Joey Lawrence saying, "I'm a mocker. Whoa!". Thank God Hollywood hasn't dared to remake this one. I don't think I can picture Joey Lawrence saying, "I am a mocker." HA! And I can't picture Hollywood remaking it...nobody can imitate that movie, ever. And if Hollywood did remake it, it would definitley be a crappy movie because I mean you cannot imitate a Beatle, eh? Hehe. I was trying to think of the most cringe-worthy remake possible, short of adding Captain Planet or Urkel to the mix. That's just cruel. I wouldn't put it passed Hollywood. They did remake The Pink Panther. Twice. They're giving it a try with the Yellow Submarine remake. Based on little information out there, I've decided to keep my torches and pitchforks in the shed - for now. Trying to remake Yellow Submarine ? If they do, the movie will be just as worse as Across The Universe . Once again, you cannot remake a Beatles movie. Hmm. Was this ever on topic? Here's a question: would it have worked in color? I came across this picture and it got me wondering. I think I prefer it it black and white (as if we had the option of color) since it contrasts nicely with the films that followed. I think it would have worked IF it had never been black & white. Cliff Richard's movies (filmed befroe AHDN ) were in colour and they worked fine. It was more of a budget than an artistic issue with this movie. Which is funny because it seems more artsy in b&w now. I think the Can't Buy Me Love field scene would have been nice in color. I prefer it in black n' white. Don't ask why, but I love black n' white better than color! But I do agree that the Can't Buy Me Love scene would look fab in color! Which one? There were two "Can't Buy Me Love " scenes… the field and the police chase. I'm sure you mean the "Sorry we hurt your field, Mister!" scene… and I agree, it would look cool in color. I also love the black and white feel of the film… really makes it feel like it came from another era. Speaking of the police chase, I love when they make it into the police station just to catch their breath… when the sergeant asks John, "You all right?" and he nods and they just take off again. Hehehe.. adorable! Oh, and btw, I was talking about the field scene. But either one would look fab in color, of course! I rewind that part too many times in one showing... aiyee! On the whole colour front, I think it would make the film more present and maybe give it a better or more broad audience today as I know too many people have a thing against black and white films... over my head, I don't know why. Though, I myself love the black n' white. Hello, early 60s! That's what it's all about. I re-watched to movie today for about the 90th time, and sang along as per usual. I noticed I was having a bit of trouble reaching some of the notes as they are noticeably lower than studio recordings! Why is that? Not quite by an octave, but If I Fell , I'm Happy Just To Dance With You , Tell Me Why and And I Love Her especially (and probably others, didn't take note of those) are all notes below. I think I might have to watch it again (how terrible), because I listened to my regular copy and my soundtrack version of If I Fell , and I didn't hear much of difference. (Smooth. Edit: OK, did a little youtube research. Not surprising, you're right! I might be able to help here. Tapes of the mono mixes were given to United Artists and Capitol to be used in the film and soundtrack in the US. 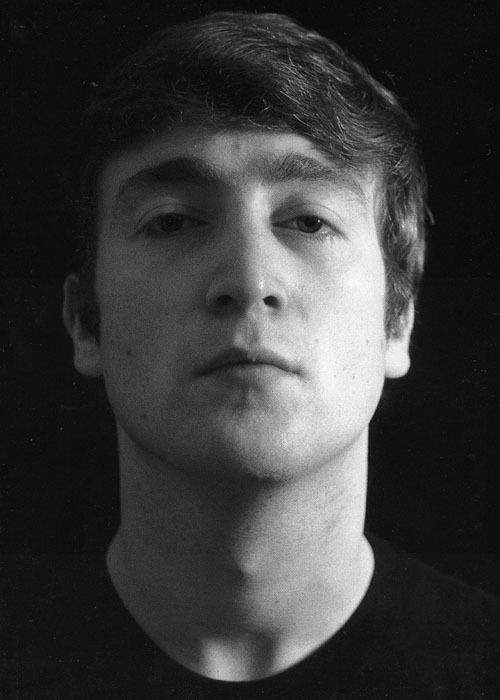 As United Artists (UA) made the film, George Martin and EMI weren't responsible for how the songs were used in the film beyond recording and mixing them. The playback of the songs in the film was, presumably, down to UA. Perhaps when they assembled the film versions their tape machines were set to play at a different speed, or they thought for some reason it sounded better. I've never heard the United Artists version of the AHDN soundtrack. If anyone here has a copy, could they let us know whether the songs are at different speeds/pitches as well?